False teacher Peter Leithart offers a helpful summary of why proponents of the Federal Vision believe in monocovenantalism (the belief that the pre-fall Adamic Covenant was essentially the same as the post-fall Covenant of Grace). Grace and law from God’s side, and a demand for faith and obedience from man, characterize every covenant in Scripture. No covenant is exclusively legal or exclusively gracious. No one is ever called to a dis-obedient faith or a faithless obedience. Read the rest to understand this influential error. See also Doug Wilson’s CREC “Examination” Questions 5, 8, 39-46. Compare with John Murray’s rejection of a works principle anywhere in Scripture. John Piper recently answered a question about the use of confessions by a church. I’m thankful for several parts of his answer, and I have some comments to offer on the other parts. Christianity that is unified around a written confession of faith, at its best, is the best Christianity… Confessional summaries of biblical truth really do help us in our faith, because I think faith thrives on deep, true doctrine that is brought out of the Scriptures, properly summarized, applied to peoples’ lives, and in our souls, in our families, in our churches, even in society. That kind of clear, doctrinal truth is healthy for life and for obedience to Jesus. Again, Amen! (Note that their Congregational Affirmation of Faith for members is different from the Elder Affirmation of Faith). The rest of Piper’s answer focuses on why they wrote a new confession rather than holding to the 1689 London Baptist Confession. Many have criticized Piper on this point, but the criticism mainly focuses on his reasons for disagreeing with the 1689. Before addressing those disagreements, we should applaud Piper. Why? Because he properly recognizes the purpose of a confession. He notes that “the elders will all be officially united under the teaching of the BBC Elder Affirmation of Faith and held accountable to maintain it through life and doctrine.” The basis of unity in their church is that the elders all confess the same doctrine. The foundational assumption here is that when people affirm a confession, they affirm a confession. That is, they don’t affirm some essence or substance or system or vitals of the faith underlying the confession. They confess the confession. That’s the whole point! They specifically wrote a confession that they could all agree on all the points, and then they use that as the basis for unity. Very straightforward. However, such a straightforward approach to a confession is not practiced by Presbyterians and others. In a recent helpful piece On the Need for and Practice of Confessing the Faith, Samuel Renihan notes “It is a sad day when what we confess and how we confess must be dealt with independently.” What was described above is known as “full subscription.” It is the method of subscription held to by ARBCA because it is the most logical (see James Renihan’s lecture). Everyone agrees with the document that was written to express common agreement. This was how the London Baptist Confessions were used. However, it was not how the Westminster Confession was used. This difference goes back to the fundamental difference in ecclesiology. Presbyterians believed that the visible church was one universal institution organized geographically. The church was national and there was only one. And this national church needed a confession of faith. However, this confession of faith was not intended to be a confession of what individual ministers believed, necessarily. Instead, it was the governing standard for the national church. It was requested by Parliament so that it could be the legal basis for defrocking a minister. Specifically, it governed what could and could not be preached in the local parishes of the one national church – that is, what could be preached anywhere in the country by anyone. If a minister wished to preach the gospel, he could only do so as a licensed minister in the national church and he was required to adhere to this confession. However, he was not personally required to agree with the confession. He was only forbidden from contradicting the confession in his preaching. This distinction between public and private reflected their view of liberty of conscience as it related to punishment by the civil magistrate. A citizen had liberty to believe what he wished in his own mind, but no citizen was allowed to publicly blaspheme God or display an idol. He was not allowed to make his beliefs public. Eventually, because of problems with unbelieving ministers filling pulpits, the Church of Scotland began to require individual ministers to confess or subscribe to the system of doctrine underlying the confession. They did not have to confess agreement with every point, but with the essence of the faith. The confession in full still stood as the legal standard for public preaching. Building on this, Presbyterian churches in America today (note the plural) do not require “full subscription.” Instead, they each have varying levels of requiring ministers to confess something less than the confession (i.e. J.V. Fesko’s THE LEGACY OF OLD SCHOOL CONFESSION SUBSCRIPTION IN THE OPC, & the PCA’s adoption of Good Faith Subscription and here). But because American Presbyterians reformed the British Presbyterian doctrine of liberty of conscience to be more logically consistent and more in agreement with the baptist doctrine of liberty of conscience and its necessary implication of voluntarism, they no longer require full adherence to the confession in public preaching. After all, since there is no such thing as a national church and ministers have divinely granted liberty of conscience to voluntarily be a part of whichever denomination or tradition of Christianity they believe best reflects Scripture, what basis do they have for prohibiting a minister from preaching his conscience? In other words, there was no longer any logical basis for a distinction between private beliefs and public beliefs. So the use of the confession in “full” was discarded and all that remained was the use of the underlying “system” in the confession. Do we accept HU because even though it is contrary to the Confession it is an allowable exception or scruple because it doesn’t strike at the vitals of the Confession as evident by its place within the Reformed Tradition? The real confession seems to be the confession within the confession. Without a written summary of biblical truth we tend to be vague about what we believe. Some people think that avoiding confessions of faith provides greater Christian unity, because writing things down requires precision and clarity and explicitness and all of those precipitate disagreements and arguments. But the alternative is to obscure those disagreements under a cloud of vagueness, and the effect of that so-called unity is that it constantly depends on keeping clarity of truth at a distance. You can’t see it with precision up close and it lets you down in the end when crucial applications and decisions have to be made on the basis of truth, and it has now been kept obscure all this time and we don’t have it there to apply in crucial cases. The case would be different if the PCA subscribed to a curtailed version of the Westminster Standards, or to some other Confession of Faith that her ministers could agree upon. Instead we have an undefined Creed, which in practice amounts to no Creed… [N]o Confession of Faith is infallible and unalterable. Instead of allowing undefined “exceptions” to the doctrinal Standards of the Church, the Church ought to change the Confession to reflect agreed upon terms of unity. In this regard, Piper and his co-elders are more confessional than most Presbyterians who “confess” the Westminster Confession. The reason that baptists and Presbyterians approach confessions differently is because Presbyterianism is still foundationally influenced by the medieval view of the church. The Dissenting Brethren of the Assembly (Congregationalists) said “we do professedly judge the Calvinian Reformed Churches of the first reformation from out of Popery, to stand in need of a further reformation themselves. And it may without prejudice to them, or the imputation of Schism in us from them, be thought, that they coming new out of Popery (as well as England) and the founders of that reformation not having Apostolic infallibility, might not be fully perfect the first day.” In short, Piper and the other elders in his church had the liberty to draft a confession that specifically reflected their actual beliefs. Their ordination and their very ministry was not tied to a confession they did not agree with. The hierarchy of Presbyterianism functionally inhibits a minister’s liberty, leading many of them to affirm a confession they don’t affirm rather than writing one they do. 1) The language is somewhat foreign. Its vocabulary is like reading the King James Version. And I think it is probably a mistake to try to enshrine that today as the one if you expect families to use it without any updated form. If that’s the issue, Founders made the 1689 available in more modern language in 1975 and in 2011 Stan Reeves published a carefully prepared version with modern language. 2) While I am able to affirm that Genesis 1 refers to literal 24-hour days, I had a hard time thinking that I should make that a matter of confessional faithfulness to Christianity, and so I stumbled over that section. Piper’s reasoning here is more commendable than those who try to argue the confession does not require one to hold to literal 24-hour days of creation. 3) The understanding of the Sabbath is, perhaps, more rigorous and narrow than my understanding of the implications of Jesus’s teaching about the Sabbath. Despite his disagreement with the confession’s stance, there is still much to agree with in Piper over against NCT. For example, my post Resources for Studying the Sabbath opens with an affirmative quote from Piper. You can read my post there for more arguments on the topic, but again, if Piper doesn’t agree with the doctrine, then he is right not to confess it. 4) There are certain historic categories of theology, like the covenant of works and others, that have proved useful, but you might wonder: Shall I make that the structure of the theology I am going to present? This is a huge point. 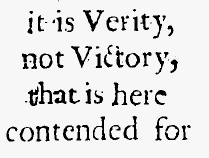 Again, Piper is to be commended for recognizing that he is in disagreement with the 1689 on this point. Some, like Gregory Nichols, agree with Piper but still claim to hold to the 1689. In fact, several Presbyterians who confess the Westminster Confession are in agreement with Piper on the nature of God’s covenant with Adam (that it was gracious and non-meritorious and thus not of works) yet they still confess Westminster (see here and here, which provides context for here). That creates more problems than just disagreeing with the doctrine. Thankfully Piper’s desire for clarity and precision and his clear understanding of the words of the Confession mean we can argue and discuss whether the doctrine is biblical rather simply getting stuck arguing about the Confession and never getting to the part about the bible (as is happening in Presbyterian circles at the moment). Allegiance to The Westminster Confession is often understood as subscription to its “system of doctrine.” The Westminster Confession accurately represents the Reformation system of doctrine when it grounds its soteriology on a contrast between the law (“the covenant of works”) and the gospel (“the covenant of grace”). Shepherd has no place for such a structure in his theology and cannot, therefore, affirm consistently the “system of doctrine” taught in the Confession he cites so often in his writings. Piper is to be commended over against men like Shepherd who still try to confess Westminster, but notice the context of Waldron’s comments. Notice how serious of an issue this is. Piper’s disagreement on this point means he does not hold to the Reformed Baptist system of theology. The structure of theology provided by the doctrine of the covenant of works is the ground of the Reformation’s soteriology, rooted in a contrast between law (works) and gospel (faith). Apart from the covenant of works, there is no objective difference between law and gospel, which is precisely Piper’s view. This is why Piper agrees with Doug Wilson on the gospel, calling him “brilliant” and his critics “dumb.” Perhaps Piper thinks Wilson is “brilliant” because in his ordination examination (which Piper specifically references), Wilson specifically quotes Piper to articulate his view of the covenant of works (the “examination” was a farce put on by the denomination he started). “… I am hesitant to call Jesus’ obedience in life and death the fulfilment of a “covenant of works.” This term generally implies that “works” stand over against “grace,” and are not the fulfilment of faith in grace. Thus works implies a relationship with God that is more like an employer receiving earned waged than like a Son trusting a Father’s generosity. I see God’s grace as the basis of his relationship with Adam and Eve before the fall. I see this Christ, the Second Adam, fulfilling this covenant of grace (not works) perfectly by trusting his Father’s provision at every moment and obeying all his commandments by faith. His relationship to the Father was one of constant trust. His obedience was the effect of this trust. “Grace” toward Jesus was not exactly the same as grace toward fallen sinners. He never sinned (Heb. 4:15). Yet, in his human life he was dependent upon God similar to the way we are. Not only that, he took our sin on himself (Is.53:6). Thus God exerted a kind of “grace” in overcoming his curse on sin in order to exalt Christ (Future Grace, 413). Wilson: I agree with this fully. … Chapter 7: Of God’s Covenant with Man— Para . 2: (cf. Chp. 19, para. 1, 6). We would clarify that the “covenant of works” was not meritorious and we deny that any covenant can be kept without faith. Good works, even in this covenant were a result of faith, as illustrated by the Sabbath rest which was Adam’s first full day in the presence of God. So while Piper recognizes that his rejection of the covenant of works entails a rejection of the structure of the 1689 Confession, Wilson feels he can take an exception to the covenant of works and still hold to the Westminster Confession. 5. Do you have any exceptions, qualifications, or scruples to that confession in the areas of this examination? Please explain. No, I do not have any exceptions in any area dealing with the federal vision controversy. However, one qualification I would like to note is that I believe the covenant of works mentioned in Chapter VII is badly named. I would prefer something like the covenant of life (WLC 20), or the covenant of creation. I believe that this covenant obligated Adam to whole-hearted obedience to the requirement of God. The one stipulation I would add is that, had Adam stood, he would have been required to thank God for His gracious protection and provision. And had Adam stood, he would have done so by believing the Word of God. In other words, it would all have been by grace through faith. Since Adam was not fallen, the nature of the grace would have been different than it is when dealing with mankind in sin. But it would have been gracious nonetheless. …40.Was the covenant of works a gracious covenant? How is it to be distinguished from the covenant of grace?What is your view of the “covenant of works”? Yes, the covenant of works was gracious in that Adam was surrounded by the goodness of a giving God. And if Adam had stood, even that standing would have been a gift from God, which he would have received by faith. But while all gifts are gifts, not all gifts are the same. The gift of preservation to an unfallen Adam is quite different than the gift of forgiveness to a rebellious and iniquitous race. The fact of giving is the same. The content of the gifts is different. I may give my wife a string of pearls one Christmas, and a coffee table the next. My desire and disposition to give is the same. But pearls are not a coffee table. The method of subscription practiced by Presbyterian churches is clearly one of the factors (there are many) involved in their inability to keep Federal Vision pastors out of their churches (see Ryan McGraw’s comments on this point). Federal Vision theology clearly departs from the Westminster Confession, but departure from the Westminster Confession is not sufficient grounds to remove a minister from his office. On this very question of the covenant of works and the works principle, John Murray argued that the confessional position needed to be revised and recast in light of a better understanding of Scripture. He argued that there was no works principle in Scripture and he specifically rejected the Confession’s citation of Gal 3:12 and Rom 10:5 as proof of one. In regards to this, J.V. Fesko argues that Murray’s rejection of the Confession on this point was acceptable because it was consistent with American Presbyterianism’s view of subscription. This is how, then, Murray can still subscribe to the Standards—his conclusions, though through a reconstructed and revised route, do not affect the overall system. It is important to note that this is yet another example of how an advocate of Old School ideology practices his confession subscription. What Piper said about churches without any confession applies to churches with a confession they don’t fully confess (what Ramsey referred to as an elusive and subjective real confession within the written confession). the alternative is to obscure those disagreements under a cloud of vagueness, and the effect of that so-called unity is that it constantly depends on keeping clarity of truth at a distance. You can’t see it with precision up close and it lets you down in the end when crucial applications and decisions have to be made on the basis of truth, and it has now been kept obscure all this time and we don’t have it there to apply in crucial cases. While I appreciate Piper’s willingness to state clearly what he believes and does not believe, I think his disagreement with the confession on this point is unbiblical (For more on Piper’s view of the covenant of works, see here and here and here). While simply having a detailed confession of faith is a very good thing for a church, making that confession a historic confession has the benefit of leaning on many, many more men than just yourselves. While Piper and his co-elders strove to not be idiosyncratic, they could not possibly have deliberated over their confession to the same degree that historic confessions like the 1689 London Baptist Confession were simply by virtue of how many people were involved, if nothing else. Furthermore, it can be well argued that those men were much better theologians and thus more qualified to write a confession. Regardless, the takeaway is that Piper’s greatest point of departure from the 1689, and his strongest reason for not holding it, is simultaneously the most problematic aspect of his ministry. 5) This is going to sound so piddly — and yet you can’t be piddly in a confession — little things like saying that bread and wine are prescribed in the Lord’s Supper. Nowhere in the New Testament does it say that wine was used in the Lord’s Supper. That comes as a shock to a lot of people. It doesn’t say that is what was used. This is not a subject I’ve studied, but I have heard very good things about this sermon http://www.sermonaudio.com/sermoninfo.asp?SID=322111921180 But once again, we should appreciate how seriously Piper takes the practice of confession. He could dismiss the issue as trivial and say he still holds to the 1689 Confession, but he doesn’t because he believes words matter. John Piper denies a works principle anywhere in Scripture, including the Covenant of Works. Has God ever commanded anyone to obey with a view to earning or meriting life? Would God command a person to do a thing that he uniformly condemns as arrogant? We are called to walk the way Jesus walked and the way Adam was commanded to walk. Adam failed because he did not trust the grace of God to pursue him with goodness and mercy all his days (Psalm 23:6). Piper is correct that man can never earn anything from God. But that is why our confession recognizes that God voluntarily condescended to Adam and offered him a reward for his labor that he did not deserve (LBCF 7.1). In so doing, he made Adam a wage earner. Piper rejects this. And because he rejects this, he does not believe there is any objective contrast between the law and faith. Let me declare myself clearly here: I believe in the necessity of a transformed life of obedience to Jesus by the power of the Spirit through faith as a public evidence and confirmation of faith at the Last Day for all who will finally be saved. In other words, I believe it is actually true, not just hypothetically true, that God “will render to each one according to his works: to those who by patience in well-doing seek for glory and honor and immortality, he will give eternal life” (Rom.2:6–7). So Christians are called “to walk the way Adam was commanded to walk” in order that God may give us eternal life. However, if we recognize the biblical truth taught in LBCF/WCF 7.1, we will see that God gave Adam the law *as a covenant of works* to thereby earn eternal life. This is the “works principle” articulated in Lev 18:5. This principle is quoted by Paul as a contrast to the faith principle, not because it referred to a subjective legalistic attitude in the Judaizers, but because it referred to an objectively different means of obtaining a reward: works vs faith. We are not hereon justified by the law, or the works of it… The meaning of it in the Scripture is, that only “the doers of the law shall be justified,” Romans 2:13; and that “he that does the things of it shall live by them,” chapter 10:5, — namely, in his own person, by the way of personal duty, which alone the law requires. But if we, who have not fulfilled the law in the way of inherent, personal obedience, are justified by the imputation of the righteousness of Christ unto us, then are we justified by Christ, and not by the law. There is also a twofold justification before God mentioned in the Scripture. First, “By the works of the law,” Romans 2:13; 10:5; Matthew 19:16-19. Here unto is required an absolute conformity unto the whole law of God, in our natures, all the faculties of our souls, all the principles of our moral operations, with perfect actual obedience unto all its commands, in all instances of duty, both for matter and manner: for he is cursed who continues not in all things that are written in the law, to do them; and he that break any one commandment is guilty of the breach of the whole law. Hence the apostle concludes that none can be justified by the law, because all have sinned. Second, There is a justification by grace, through faith in the blood of Christ; whereof we treat. And these ways of justification are contrary, proceeding on terms directly contradictory, and cannot be made consistent with or subservient one to the other. Reading the comments online over the role of our works following John Piper’s words in his foreword for Thomas Schreiner can be a little confusing. The reality is, the comments you read are the tip of an iceberg. Under the water there is a vast labyrinth of debate over biblical, systematic, and historical theology. My goal, in this post, is to give you a snapshot of that labyrinth, as succinctly as I can. The end will include a recommended bibliography. 1958: Neo-orthodox theologian Karl Barth (1886-1968) rejects the Covenant of Works because God’s dealings with his creatures are exclusively gracious, thus teaching monocovenantalism (same covenant both pre and post-fall). Gospel always precedes law. 1973(? ): In The Adamic Administration, Murray rejects the Covenant of Works on the grounds that it does not account for the elements of grace present. Eternal life was a promise of grace to Adam, not a meritorious reward to be earned. Lev 18:5; Rom 10:5; Gal 3:12 state the obedience all image bearers naturally owe, not a principle of works. Murray indicated that he had actually been impacted a bit by Barth’s argumentation on the nature of the Covenant of Works. 1976-1982: Norman Shepherd (1933-) succeeded Murray in the chair of systematic theology at WTS (began teaching there in 1963). In a 1975 faculty discussion, Shepherd affirmed that works are an instrument of justification. The “Justification Controversy” begins when Shepherds’ students affirm that we are justified by faith and works in their ordination examinations. Shepherd further develops on Murray to fully embrace monocovenantalism, rejecting a “works-merit” paradigm in favor of a “faith-grace” paradigm to describe Adam’s pre-fall relationship to God, which is the same as ours today. The “antithesis between the covenant of works and an antithetical covenant of grace” is “schizophrenic.” He rejects the imputation of Christ’s active obedience, arguing that justification is only the remission of sins, which we receive through obedient faith. The controversy raged for 6 years until Shepherd was finally let go, though not fired for his unbiblical and unconfessional views. He was never tried for heresy (he was transferred to the CRC). 1981: An intended merger between the OPC and the PCA failed because of the OPC’s toleration of Shepherd’s doctrine of justification. 2001: The 68th OPC GA votes to add Romans 2:6,7,13,16 as proof-texts for WLC90. It was not present in the original. 2002: Auburn Avenue Presbyterian Church hosted its annual pastors’ conference with speakers Douglas Wilson, John Barach, Steve Wilkins, and Steve Schlissel addressing the topic “The Federal Vision: An Examination of Reformed Covenantalism.” This launched the Federal Vision movement, of which Norman Shepherd is often referred to as the father. 2002-03: John Kinnaird (1935-), a ruling elder in the OPC and vocal defender of Shepherd during the controversy (calling for judicial action against those who continued their opposition to Shepherd), is found guilty of teaching justification by faith and works by his session (congregation) for statements such as “[T]he pre-Iapsarian (before Adam’s sin) Covenant of Works with Adam, [is] but [a] sub-part of the Covenant of Redemption… It is those who obey the law who will be declared righteous on that Day of Judgement. WCF XXXIII.I and II Romans 2:1-16.” “On the day of judgment I will hear God declare me to be righteous… The reason will be first because it will be true because God will have changed me so that I am really and personally righteous. After all, we will be crowned with righteousness. This is the result of the work of the Holy Spirit in my sanctification in this life.” The verdict is upheld by the Philadelphia Presbytery (regional rule of elders). However the verdict is then overturned by the OPC GA on the basis of the 2001 addition of proof-texts to WLC90. Richard Gaffin defended Kinnaird as an expert witness during the trial and led the move to overturn the verdict on the floor of the GA where he said “In that future aspect of justification, the sanctification of believers – by which we could also say, their obedience, the good works for which they have been created in Christ Jesus – in that future judgment, in that future aspect, the sanctification of believers over the course of their lives, however imperfect, will come into consideration. Sanctification will come into consideration at the final judgment… That’s good news.” Kinnaird recently came to Piper’s defense. 2004: The 2004 OPC General Assembly reversed the proof-text change as the result of an overture by the Presbytery of Connecticut and Southern New York. 2005: Richard Gaffin delivers lectures at the Auburn Avenue pastors’ conference, together with N.T. Wright. Gaffin’s lectures become his book By Faith, Not by Sight: Paul and the Order of Salvation. 2012: Federal Vision proponents publish a festschrift for Norman Shepherd titled Obedient Faith. 2013: Mark Jones writes foreword to 2nd edition of Gaffin’s book, which was “deeply influential in [his] own theological thinking.” Asking “what could I possibly say that is not already said better in this book?” Mark answers “it ocurred to me that extensive references to early modern Reformed divines (ca. 1500-1800) were absent… So I am happy to provide some historical background, especially when some have questioned Professor Gaffin’s theology in relation to the early modern period.” Thus Jones’ work has been to establish historic precedent for Gaffin’s view of justification. The list could go on for pages and pages, but hopefully this helps give a snapshot of what’s going on below the tip of the iceberg. I haven’t included here any of the response to this view, particularly that of Kline and his followers. Kline was the most vocal critique. However, Kline made some fundamental errors and intentionally rejected parts of the confession regarding the Covenant of Works. Thus his followers, though correct of justification by faith alone, are off the mark on other areas that make their response somewhat ineffective. A lot of what you’ll see online is argumentation between these two schools of thought, focused in WTS and WSC. I don’t fully side with either, though WSC does get sola fide correct. In a subsequent post I will be reviewing Gaffin’s book and referring to this timeline. The key issue in this debate is the Covenant of Works/covenantal merit. The law/gospel antithesis is the Covenant of Works/Covenant of Grace distinction. When that is rejected, one must re-interpret what justification apart from works means. These men do so by arguing that the works Paul has in mind are works done with a sinful motive to earn reward. We are justified apart from those works, not because they are imperfect, but because we cannot earn anything from God. However, as James says, we are not justified by faith alone apart from works. What James is referring to is “the obedience of faith.” Paul and James are referring to the same justification, but they are referring to different works. Justification is apart from self-wrought works of merit, but not apart from Spirit-wrought works of faith (so they say). It all starts with the rejection of the Covenant of Works. [T]here is no place in Shepherd’s theology for anything like the dichotomy between law and gospel that lays at the foundation of justification sola fide for the Reformation. If there is no such thing as meritorious works, if Christ’s work was believing obedience, if the obedience of faith is the righteousness of faith, then we are clearly dealing with a system of doctrine that has no way to express the Reformation’s contrast between law and gospel. Such a system cannot consistently affirm the justification sola fide squarely built on this contrast. I recently had the pleasure of joining Pascal Denault to interview Guy Waters for the Confessing Baptist Podcast. We discussed his chapter in The Law is Not of Faith titled “Romans 10:5 and the Covenant of Works” which can also be found online here. Paul’s concern for the law, as Romans 10:5 indicates, is the commandments and precepts of the moral law.What does this mean for a definition of the word telos? While it is a thoroughly Pauline teaching that Christ is the goal of the law, or the one to whom the law points (whether considered as a covenantal administration or as commandments and precepts), that is not what Paul is claiming here. He is claiming that Christ is the “termination” of the law to the believer. Paul, however, is not affirming that the believer is thereby altogether free from the commandments and precepts of the law. Paul is no antinomian. The law as precept continues to bind believers. He is, however, claiming that the believer is free from the law’s commandments as they bring life to the one who perfectly performs them and condemnation to the one who fails to meet this standard. He is, in other words, freed from the law as it functions within the covenant of works. 1) How can Paul apply the Mosaic Covenant to Gentiles? 2) Is the Mosaic Covenant therefore the Covenant of Works? 3) How can Paul legitimately appeal to the same covenant for both principles (faith and works)? Waters answers the first question by demonstrating that there is overlap between the Mosaic law and the moral law that binds Gentiles as well. How could Paul have derived a testimony regarding the moral law, revealed to Jews and Gentiles, from Leviticus 18:5? The answer is found in the overlap that exists between the moral law and the Mosaic law. Because of this overlap Paul can quote the Mosaic writings, deducing therefrom a principle that applies universally to Jews and Gentiles alike. 4) What is the relationship between the Adamic Covenant of Works and the Mosaic Covenant such that Paul can appeal to one to make a point about the other? Answering this question requires Waters to answer question 3) first. Waters’ answer, as someone who holds to the Westminster Confession of Faith, is that Paul can appeal to the Mosaic Covenant to establish the principle of faith because the Mosaic Covenant is the Covenant of Grace. Old Testament saints were saved through the Mosaic administration of the Covenant of Grace, which is the same in substance as the New Covenant (salvation by grace alone through faith alone). They differ only in their outward appearance. Waters’ solution to this difficult question is that the moral law itself contains the works principle, and since both the Covenant of Works and the (Mosaic) Covenant of Grace contain the moral law, Paul can quote it from Moses to establish his point about Adam. In other words, in his quotation of Leviticus 18:5, Paul is “abstracting” the moral law from it’s context in the Covenant of Grace and thereby showing what the moral law by itself says. Paul considers the moral demands of the law, in distinction from the gracious covenant in which they were formally promulgated, to set forth the standard of righteousness required by the covenant of works. * This is not to say that Paul believed that God placed Israel under a covenant of works at Mount Sinai. Nor is it to say that the apostle regarded the Mosaic covenant itself to have degenerated, by virtue of Israel’s unbelief and rebellion, into a covenant of works. Nor is it to say that Paul understood that God gave the Decalogue specifically or the Mosaic legal code generally as a covenant of works separate from a gracious Mosaic covenantal administration. That Paul is here engaging the Mosaic Law as it articulates the standard of righteousness set forth by the covenant of works is a venerable interpretation. It is also one enshrined by the proof-texts of the Westminster Standards. The Assembly cited Rom 10:5 as proof for the following confessional declarations: “The first covenant made with man was a covenant of works, wherein life was promised to Adam; and in him to his posterity…” (WCF 7.2); “God gave to Adam a law, as a covenant of works, by which He bound him and all his posterity, to personal, entire, exact, and perpetual obedience, promised life upon the fulfilling, and threatened death upon the breach of it, and endued him with power and ability to keep it” (WCF 19.1). Tellingly, the Assembly does not cite Rom 10:5 as proof for the covenant of works simpliciter. Rom 10:5 is proof, rather, for the moral law which lies at the heart of the covenant of works. The identification in view, then, is not between the Mosaic Covenant and the Covenant of Works as covenantal administrations. The identification is twofold. First, the moral law set forth in the covenant of works is substantially identical with the moral law set forth in the Mosaic Covenant. Second, the connection between “obedience” and “life” expressed by the moral law in the covenant of works is an abiding one. The moral law set forth in the Mosaic Covenant continues to express that connection. If this historical proposal is tenable, then it goes a long distance towards resolving a number of exegetical and theological difficulties that have attended recent study of the apostle Paul. The question before us, then, is this – is this proposal exegetically tenable? In other words, is this what the apostle Paul is arguing at Rom 10:5? But because the works principle is something added to the moral law by covenant, the same moral law can be applied in a different way in a different covenant (the covenant of grace). Thus the Westminster Confession teaches that “This law, after [Adam’s] fall, continued to be a perfect rule of righteousness; and, as such, was delivered by God upon Mount Sinai…” (19.2). Though the Covenant of Works was broken, the moral law itself continued to lay forth the requirement for all image bearers (19.5). It “continued to be a perfect rule (guide) of righteousness” and that is how it was delivered on Mount Sinai – not as a covenant of works, but as a perfect rule of righteousness. As a result, “Although true believers be not under the law, as a covenant of works, to be thereby justified, or condemned; yet is it of great use to them, as well as to others; in that, as a rule of life informing them of the will of God, and their duty, it directs and binds them to walk accordingly…” (19.6) which is not “contrary to the grace of the Gospel, but do[es] sweetly comply with it” (19.7). As we just saw, the Westminster Confession views the Mosaic Covenant as the Covenant of Grace and says the moral law functioned in the Mosaic Covenant as a perfect rule of righteousness, and not as a covenant of works. Waters’ argument is that Paul is quoting the moral law in the Mosaic Covenant and then abstracting it from it’s Mosaic context and applying it to the Adamic Covenant of Works to make a point about justification. But is Leviticus 18:5 simply the moral law (command)? No, it’s not. From a simple grammatical standpoint, the first part of the verse is a command while the second part is a proposition commenting on that command. From a theological standpoint, Lev. 18:5 is a statement of the law given as a covenant of works. It is not simply the moral law itself. Furthermore, Paul is only quoting the latter half of the verse – the works principle – not a command. Thus, according to Westminster’s system of theology concerning the law (which is shared by the LBCF and I believe is biblical), Paul must not be abstracting the moral law from its covenantal context but must be specifically appealing to its covenantal context. And because Leviticus 18:5 is not simply a command that can be applied in a covenant of works or a covenant of grace (“You shall not steal”), but is a statement of the works principle (“If you do not steal you will live” cf. Gal 3:12), the only conclusion we can come to is that the Mosaic Covenant is a covenant of works. And thus Westminster’s system of theology is self-contradictory. And thus Paul is not misquoting Leviticus 18:5. He is correctly contrasting a covenant of works (righteousness based on the law) with the covenant of grace (righteousness based on faith). Which brings us to our final unanswered question 2) Is the Mosaic Covenant therefore the Covenant of Works? No, it is not. It is a covenant of works but it is not the Covenant of Works. The two covenants differ in their contracting parties and in their reward. The Adamic Covenant of Works was made with Adam as the federal head of all mankind. The Mosaic covenant of works was made with Abraham’s physical offspring. The Adamic Covenant of Works offered eternal life upon the doing of the law (perfectly). The Mosaic covenant of works offered temporal life and blessing in the land of Canaan upon the doing of the law (outwardly). For more on this distinction, see here and here. The Bible asserts and scholars have recognized that pollution and defilement of the land could build up and reach intolerable states, triggering the sanctions and leading to banishment. Not only exile is in view, but also ultimate extirpation symbolized in the destruction of the Herodian temple in AD 70 and the potential rejection of the chosen people. [In Ezekiel there is a] reversal of fortunes based on divine initiative… In short, there is a “composition connection between the unfulfilled ‘statutes and ordinances’ in chapters 18 and 20 with their fulfillment in 36.27 and 37.24; likewise, there is a connection with the ‘life’ unattained by Israel in chapters 18, 20, and 33 and Israel’s ‘life’ in 37.1-14″ (Sprinkle) Whereas Israel’s failure to fulfill the stipulations is highlighted repeatedly in Ezekiel 1-24, there is a dramatic reversal of this failure through divine initiative and fulfillment in Ezekiel 36-37… In short, divine causation replaces the conditions incumbent upon the people. What they are unable to perform in and of themselves, Yahweh will accomplish through his own divinely appointed agency. Just as Leviticus 18:5 is taken up in later biblical allusions and echoes, so also is this Deuteronomy passage. In Jeremiah 31:31-34, the language of the new covenant that was cloaked in the circumcision of heart metaphor is unveiled in this classic passage. I argued above that Deuteronomy 30:1-14 is a predictive prophecy of the new covenant, and, therefore, all that was implicit there becomes explicit in Jeremiah 31. In verse 31, Jeremiah says this will happen “in the coming days” and in verse 33 he says “after these days”; both refer to the new covenant, messianic days. …the point is that the whole old covenant order will be annihilated, it will be wiped out, and it will go down in judgment as a modus operandi. The new covenant is not like that: it is not subject to breaking because it is built upon God’s initiative to complete it and Christ’s satisfaction in his penalty-paying substitution and his probation keeping. His merit is the surety of the new covenant promises, and therefore it cannot fail. The old Sinaitic covenant by way of contrast is built upon a very fallible hope, and therefore is destined to fail since Israel individually and corporately could not fulfill its stipulations. Thus Paul can quote Deuteronomy 30:12-14 to establish the faith principle of the Covenant of Grace in opposition to the works principle in the Mosaic and Adamic covenants of works because Deuteronomy 30 is a prophecy of the New Covenant, and the New Covenant alone is the Covenant of Grace, by which all saints from all time, OT and NT, have been saved. One of the issues involved in the debate over Klinean Republication is WCF 7.1. Discussing the issue, however, is often unproductive because there is some confusion over what the real debate is about. Hopefully the following will help clarify things. The question is if the law itself is a covenant of works, or if the law was given as a covenant of works. Can the two be distinguished, or are they identical? In Kline’s response to Fuller “Covenant Theology Under Attack” he responds to Fuller’s emphasis on pre-fall grace in order to create a continuum between pre and post-fall covenant. Kline’s response is the wrong one. His response is to reject WCF 7.1 altogether, rather than pointing out that Fuller’s teaching was contrary to it. Note, Luke 17:10 is the prooftext in WCF 7.1. The confession appeals to it to show that “human works of obedience are of no merit.” Kline rejects this interpretation. We have already criticized the duplicity of using the term grace in the covenant with Adam in a sense totally different from the meaning it has in the gospel. Now we will focus on the denial of the simple justice of the pre­Fall arrangement. For one thing, the alleged disparity in value between Adam’s obedience and God’s blessing is debatable. It could be argued that insofar as man’s faithful act of obedience glorifies God and gives pleasure to God, it is of infinite value. But the point we really want to make is that the presence or absence of justice is not determined by quantitative comparison of the value of the act of obedience and the consequent reward. All such considerations are irrelevant. When WCF VII.1 is read in this broader context, it begins to appear more and more like a vestigial organ whose surgical removal would not jeopardize the continued vitality of the larger organism… No longer is it possible to argue that the reward offered was out of all proportion to the work rendered, and that therefore Adam’s work would have been accepted according to grace rather than the strict merit of works… he was not condescending in the freedom of his grace but covenanting in the revelation of his justice. So it is crystal-clear: Kline’s view of merit was a rejection of the Westminster Confession’s view of merit. How does this affect the question of republication? Well, according to the WCF there is a distinction between the moral/natural law and the covenant of works. The moral/natural law is the duty that reasonable creatures owe their Creator. It says “Do this.” The covenant adds to this law a reward “Do this, and live.” Thus the moral law itself/intrinsically does NOT contain the works principle. Instead, it is simply “a perfect rule of righteousness.” Only the covenant of works contains the works principle. He was capable of and made for a greater degree of happiness than he immediately enjoyed. This was set before him as the reward of his obedience by that covenant in which he was to walk with God. Of this reward set before him, these things are further to be observed. [Natural men] expect a reward of future blessedness for their obedience to the law of God and to stand before him on terms of the covenant of works. This necessarily arises from man’s relationship to God at first in such a covenant (which included the promise of such a reward) and the knowledge of these covenant terms communicated to him, together with the law of creation. 2. In the Brief Sum, the moral law is said to have been “written in the heart” of our first parents. 3. The law is there logically distinguished from the covenant of works, and described as in the order of nature antecedent to it,-which it is;—the one being of necessary obligation, the other of gratuitous bestowment. 4. In the place quoted from the Confession, the law is expressly stated to have been given “as a covenant of works.” Here, the same logical distinction and order of nature are observed; and, at the same time, the dates of the two transactions are identified. If the law was “given as a covenant of works,” evidently Adam was no sooner under law than he was in covenant. It is therefore incorrect to speak of God voluntarily condescending to the creature to make a covenant. For the very fact of creation itself has already constituted man in a covenant relationship with his Creator… he was not condescending in the freedom of his grace but covenanting in the revelation of his justice. Kline’s covenantal creation is a rejection of the Westminster conception of merit and of the law. It is not simply a statement about how and when the covenant was communicated. It is a statement about merit and the law that is contrary to WCF. A Reformed theologian of recent days has cut through this ambiguity – however unwittingly, given that he does not interact with his predecessors or use the terminology of natural law on this point. Meredith G. Kline (1922-2007) follows his Reformed predecessors closely in affirming the works principle operative in the covenant with Adam and in associating this works principle with the reality of the image of God. He resolves the ambiguity patent in many of his predecessors, however, by refusing to separate the act of creation in the image of God from the establishment of the covenant with Adam. For Kline, the very act of creation in God’s image entails the establishment of the covenant, with its requirement of obedience and its prospect of eschatological reward or punishment. So the distinction between the law and the law as a covenant of works is gone. The law is a covenant of works. Building upon Kline’s rejection of 7.1, VanDrunen winds up denying more of the WCF. As Lane Keister explained here (and I have explained here and Robert Strimple notes here), WCF 19.2 simply states that the moral law, not the covenant of works, was republished/delivered on Mt. Sinai. The law was given to Adam as a covenant of works. But it was given to Israel as a perfect rule of righteousness (note “as such”). VanDrunen therefore contradicts 19.2 because he says the law itself is the works principle and therefore cannot be given in any other sense. As I said initially, this is where all the modern Klinean proponents who argue for republication from 19.2 are confused: they have an unconfessional definition/understanding of the moral law. They think it inherently contains the works principle. This is rooted in Kline’s unconfessional redefinition of merit. This definition of moral law also contradicts 19.5-7 which says that this same moral law continues to bind justified Christians who have been freed from the works principle. VanDrunen anticipates this and admits that yes, Christians are not under the same law as the one referred to in Rom 2:15-16 – that is, Christians are not under the moral law.